The story of ground-breaking wartime radio interception - 'the other ENIGMA'. The Robert Harris novel/film ENIGMA has popularised the subject of code-breaking and military intelligence as never before. Yet the ULTRA secret -- the Allied 'breaking' of the German 'Enigma' code was only part of a much wider story. In both world wars, radio was a primary means of communication -- and searching for enemy radio traffic became top priority. Using radio intercepts enabled the Germans to inflict devastating losses on the Russians in 1914; mis-using radio intercepts saw the Royal Navy fail to catch the German fleet. 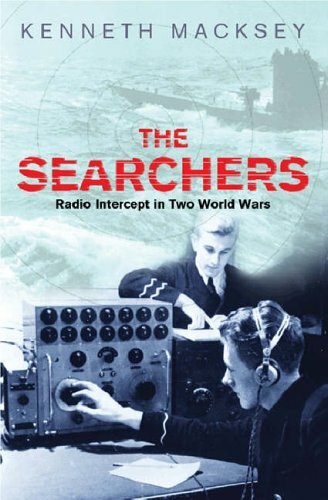 Radio warfare played a critical role during the Battle of Britain and the battle of the Atlantic: regardless of what a U-boat transmitted, the British developed the technology to catch them the moment they began to broadcast. From 1914 to the great campaigns of World War II, radio intercepts shaped the course of history. Kenneth Macksey reveals how.